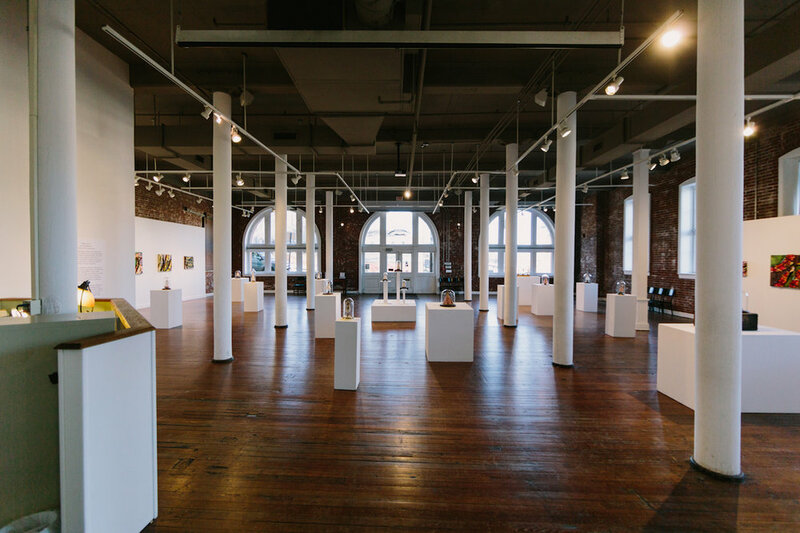 Located in the heart of Historic Downtown Lynchburg, Riverviews Artspace offers a sophisticated juxtaposition of industrial charm and world-class art, that is sure to make any event unforgettable. No matter the size or type of your venue, we can tailor our spaces and services to meet your needs. Between our Craddock Terry Gallery, the Rosel Schewel Movie Theatre, and Gallery 109, we have the space for any type of event. INTERESTED? CONTACT BELOW FOR MORE INFORMATION. Our Craddock Terry Gallery is the perfect event space for receptions, corporate parties, weddings or other unique gatherings. The space is elegant, large and inviting, equipped with projectors, retracted ceiling screen and sound. It can include tables and seating, arranged to meet your needs. We also offer a full kitchen on-site and can recommend local catering services, if needed. The Rosel H. Schewel Movie Theatre, you can enjoy a movie with 40 of your closest friends. Our screening room is customizable, includes a wet bar and can accommodate your refreshment needs. The theatre is also a great space for corporate seminars or an intimate concert venue. Gallery 109 is a great space for smaller concerts, meetings, parties and receptions. The gallery features a large open space allowing for tables and seating to meed your needs.